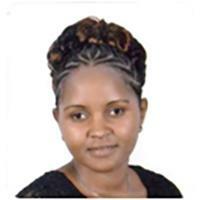 Dr. Nkatha Murungi is the head of the Child and the Law Programme at the African Child Policy Forum (ACPF). In this position, she oversees the implementation of research and advocacy work aimed at ensuring effective legal protection of children in Africa. Dr. Murungi is an advocate of the High Court of Kenya, and a researcher in human rights with a keen focus on children, women and disability rights. She holds a Master of Laws in human rights from the University of Pretoria, and a Doctorate in Law focusing on the education of children with disabilities in Africa from the University of the Western Cape. Her research covers a range of human rights issues including child rights, education, sexual and reproductive health rights of women and girls in Africa, disability rights, and access to justice. Before joining ACPF, Dr. Murungi was a researcher in human and children’s rights in South Africa.